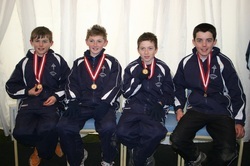 The under 13 boys won in Sunderland in 2007, with the scoring team of Luca Russo, Ryan Driscoll, Robbie Farnham-Rose and Jamie Bryant. 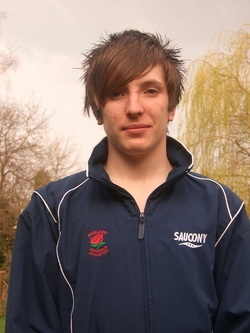 In addition to the under 13 win, the under 15s won in Sunderland, with the scoring four of Michael Mason, Josh Bentham, Seb Harding and Andy Combs. 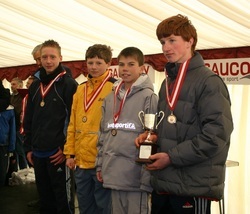 The under 15 boys team won at Parliament Hill in 2006, with the scoring team being Kurt Wolfe, Michael Mason, Andy Combs and Seb Harding. 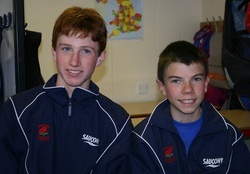 Both Seb and Andy both made the England Schools Junior Boys Cross Country Team, for the SIAB international at Stowe School, Buckinghamshire. 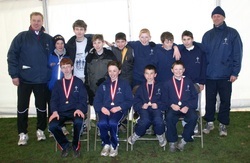 Having won silver medals in 2004, the Tonbridge AC under 13 boys' team won the club's first national title of the 21st century, at Cofton Park, near Birmingham. 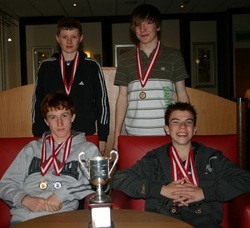 The scoring team was Seb Harding, James Cotterill, Andy Combs and Michael Mason.